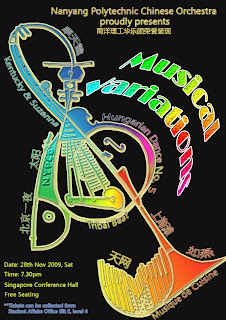 Nanyang Polytechnic Chinese Orchestra proudly presents our annual concert, entitled "MUSICAL VARIATIONS"! We will be playing a wide variety of songs, from traditional Chinese music to Western pieces! 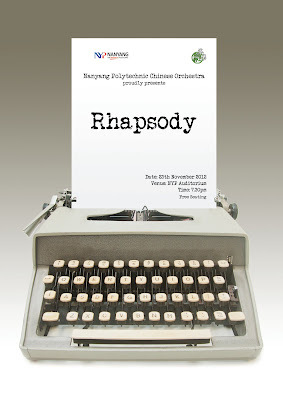 This is NYPCO's first annual concert held at Singapore Conference Hall, so please do support us and be our audience! For ticket enquiries, please feel free to contact our President, Zi Wei or the Vice Presidents, Cheng Heng or Yu Yue by clicking our names!